What is most evident upon meeting Sharon is her heart and passion for people and process. 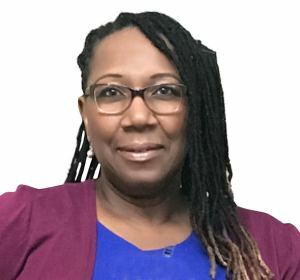 For more than fifteen years she served in the telecommunications industry focused on people development, process definition and organizational optimization. This career journey was a natural progression from her early years as a Case Manager for the Dept. of Health and Human Services, where her clients were the most vulnerable among us: the geriatric population. More recently, Sharon transitioned to the Landscape industry and spent the last 7 years in Strategic Account Management serving larger portfolio clients ensuring service excellence while meeting bottom line goals. After earning a degree in Sociology, she went on to achieve certifications in Organizational Development and Leadership. Sharon is truly a lifelong learner and is currently completing coursework in project management. The best part of learning, as she states, is “the opportunity to share and add value to others.” This is something she does regularly. Joining the Aspire team is a great convergence of her career highlights and provides an opportunity to put her best skills to work for our client base. Even during her down time Sharon is serving or helping others either as the Director of Outreach at her church or as an Area Director for Toastmasters International. Flower and vegetable gardening are her summer outdoor fun and she enjoys family time with her adult children and granddaughter.